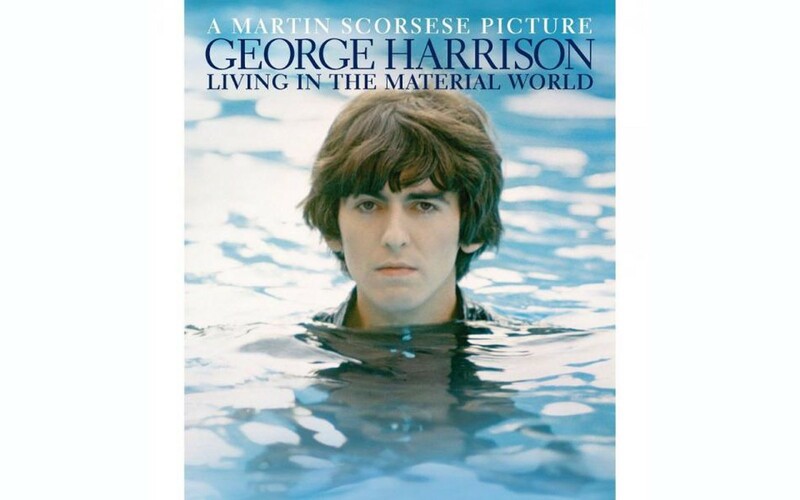 Seen last year on pay cable, this Scorsese film on the life of George Harrison is now widely available on DVD. A fair amount of the footage here has been otherwise available, but there's a lot that comes from Harrison's "home movies" and photos. There are archival soundbites with Harrison, and new interviews with George's widow Olivia Harrison (a co-producer) and his son Dhani, as well as Paul McCartney, Ringo Starr, Yoko Ono, Eric Clapton and other friends. It's a two disk set divided into the two parts -- with The Beatles and life after -- as seen on HBO, for a total of 229 minutes, with a few extra scenes and interview snippets as DVD special features, which are nice but not much. I especially felt the absence of some full song performances, as were included in the DVD version of Scorsese's film on Bob Dylan. Scorsese makes some strange cuts and a few significant omissions, but the major biographical elements are there. It's a rounded if impressionistic portrait with intriguing cinematic rhymes. A companionable quality emerges with repeated viewings. While interviewees speak of the necessarily intense bond among The Beatles, Scorsese shows images of hysterical fans and the rest of the crazed context. Eric Clapton recalls how magical they were as a group, even moving in ways special to themselves. Post-Beatles music, Harrison's spiritual journey and interests in film production are all covered. As opposed to Lennon, who was shot to death before his 40th birthday, Harrison was 58 when cancer took him in 2001 -- before his time, but not young. The last part of his mature life is especially rich territory for Scorcese, highlighted by Olivia Harrison's wise and beautiful description of the mutual lessons of their marriage. The film gently considers his wilder and darker moments as well as his spirituality and wit. Several interviewees describe Harrison as having two distinct sides: calm and kind, or angry and acerbic. When he was with The Beatles he yearned to be on his own, and later (someone observes) he missed being in a band. He craved solitude and peace, but had several circles of friends and seemed to have had a special talent for friendship. After John Lennon's death, a reporter observed to Harrison that Lennon "was no angel." "No, he wasn't," Harrison said, "but he was, as well." "Was he?" "Yeah." Ringo recalls visiting Harrison during his final illness, when he was too weak to get out of bed. Ringo told him he had to leave to visit his daughter in Boston, who had a brain tumor. The last words Harrison spoke to him were, "Do you want me to go with you?"